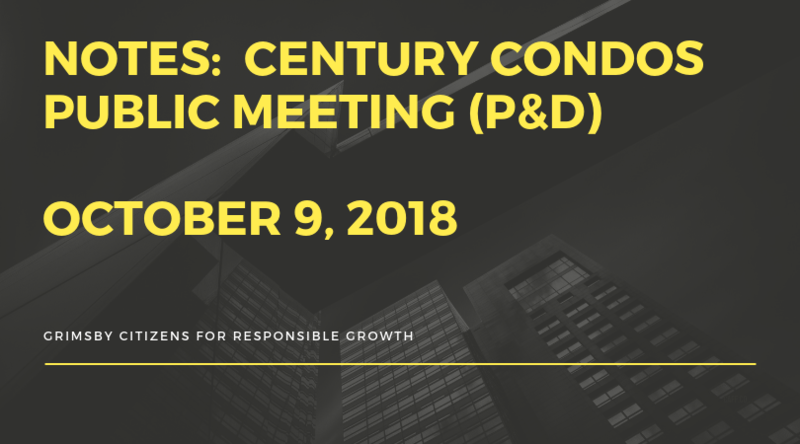 After a claimed “mistake” in posting the public notice sign for October 9th meeting on the proposed Century Condos project downtown, the makeup second public meeting for this development is being held this coming Tuesday, November 13th @ 7PM at Town Hall. 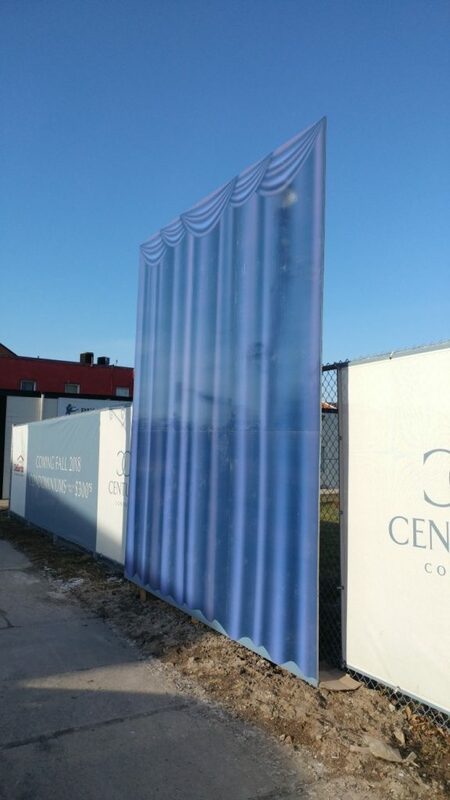 While the agenda was sparse, the air was dense as people waited with baited breaths to hear and speak to the updated report on the 4/5 storey Century Condos development downtown. 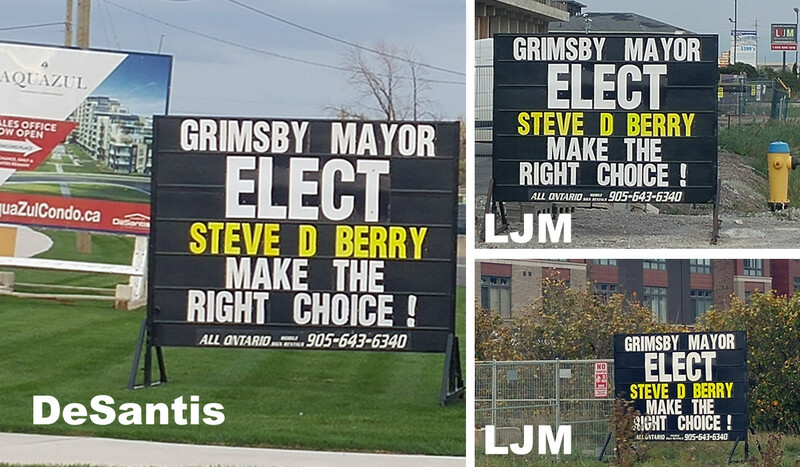 We received a tip from an eagle-eyed resident regarding some large mobile signs promoting Alderman Berry’s run for the Mayor’s Chair. ‘Tis the season for signage, but after checking them out ourselves, there is more than one message than what is plastered on the sign. 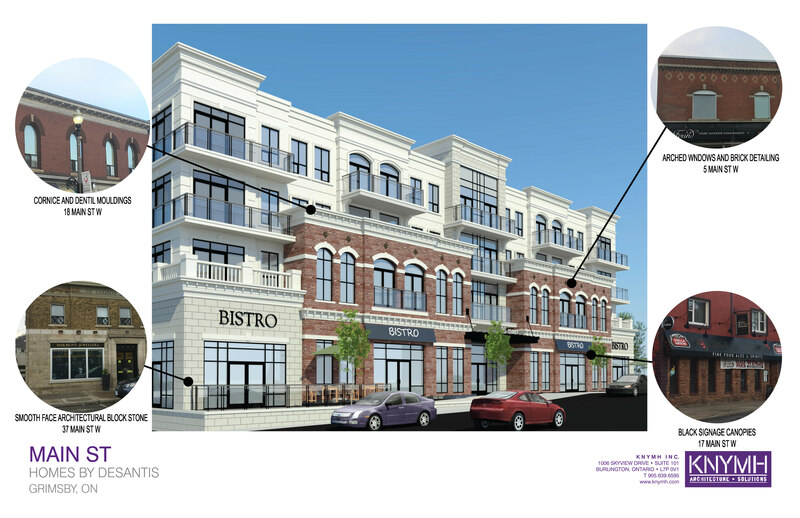 DeSantis Homes and their planners have released some more information on their 4-storey downtown condo proposal. 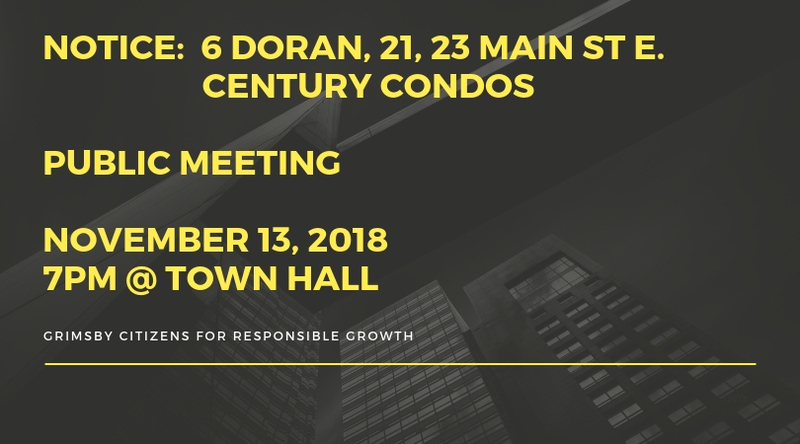 The proposal will be up for a public meeting on May 29th where you can ask questions or add your comments to the developer and Town Planning staff. 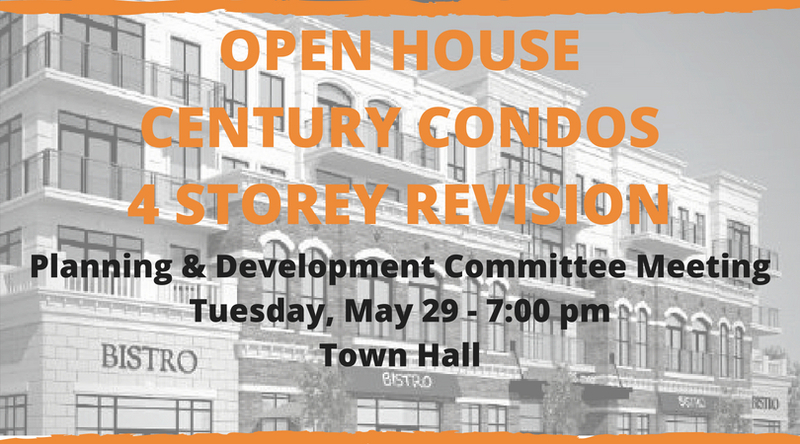 After a well attended Planning & Development Open House meeting on the now cancelled 8 storey proposal for Century Condos downtown, the developer and his team will be back at Town Hall on Tuesday May 29th to present their 4 storey revised proposal. 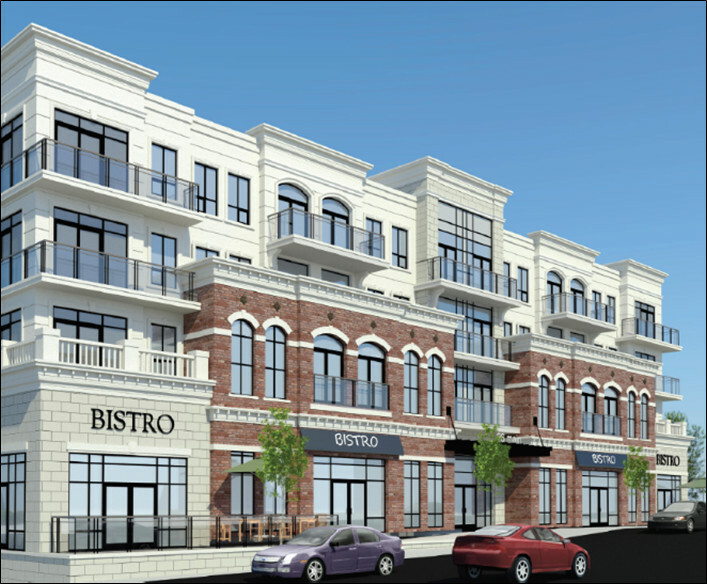 For the residents of Grimsby, they wanted to make sure the developer of Century Condos downtown heard their messages “loud and clear” on the proposed development. From what News Now is reporting, it seems at least on the issue of height and heritage, the developer is going back to the drawing board for 4-storeys. The community has been asking a lot of questions about what is happening with the downtown property at Main Street and Elm, next to “Beyond the Barre” across from the TD Bank. 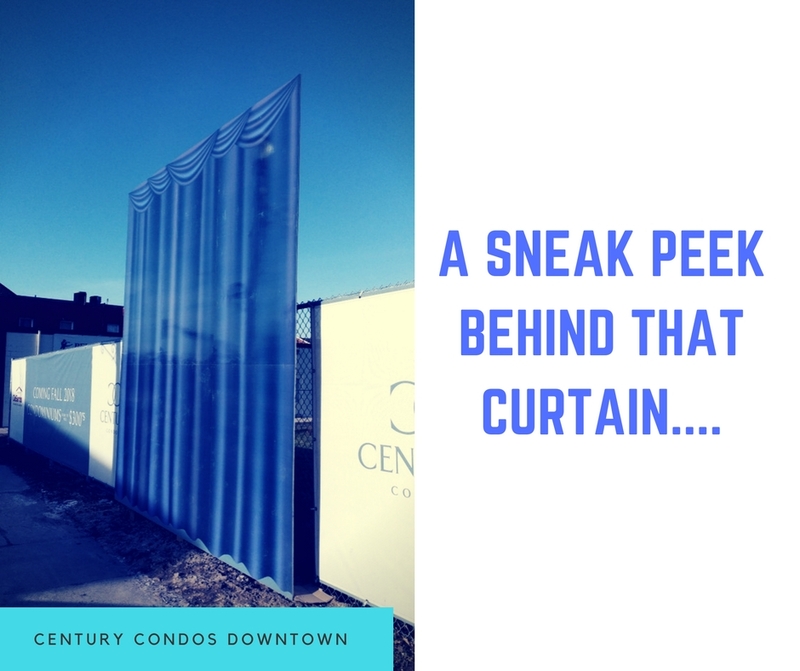 This property was purchased by DeSantis (in addition to a few other properties abutting it) and fencing and a large sign was recently erected advertising “Coming Soon – Century Condos”.